« It’s not Russia that we should be worrying about … it’s China! Trump’s Space Force is a dumb idea … or is it? I think Trump may be on to something. One of the Three Days storylines is the impact the Reagan’s Strategic Defense Initiative (SDI) had in his multi-year talks with Mikhail Gorbachev. SDI – street named “Star Wars” – was a proposed missile defense system intended to protect the United States from attack by ballistic strategic nuclear weapons. The concept — first announced publicly by President Ronald Reagan in 1983 — was a sticking point in negotiations, but Reagan held his ground. Subsequently, according to Baier, Gorbachev admitted that the Ruskies were scared stiff of SDI which they thought would provide the US with a commanding strategic advantage. SDI got back-shelved when Reagan left office. In 100-Years, Pillsbury writes that the Chinese consider control of outer space to be an “Assassin’s Mace” is a the trump card (<= Pillsbury’s words, not mine) that ensures victory over a powerful opponent. I first came across the term ”Assassin’s Mace” in 1995 when reading an article titled “The Military Revolution in Naval Warfare,” written by three of China’s preeminent military strategists. The Chinese believe that an acute American weakness is America’s reliance on space satellites. Satellites gather intelligence in part by photographing enemy positions and monitoring radio and phone calls. For two decades, China has been building a number of Assassin’s Mace weapons to destroy or incapacitate those satellites, including a land-based laser that would either blind American satellites or blow them up. As their name suggests, these small devices would cling to an American satellite and either disable it or hijack the information it gathers. 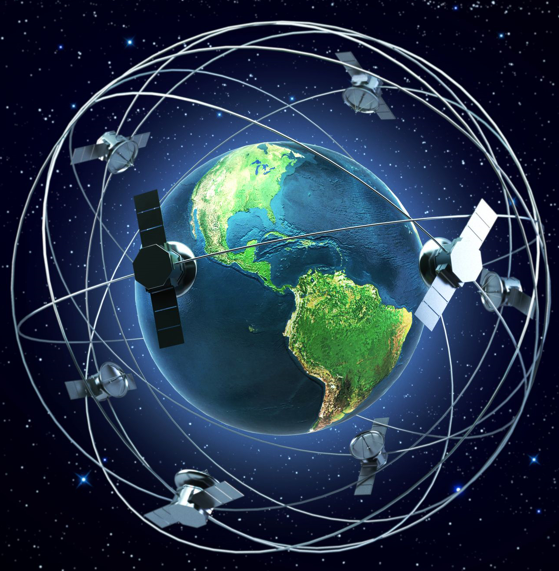 Other Chinese microsatellites could neutralize an American satellite through electronic jamming, EMP generation, or pushing the satellite out of orbit. China has additionally explored ground-based antisatellite missiles that simply blast satellites out of the sky. In a successful test in 2007, China used such a weapon to destroy one of their own weather satellite. More recently, the Chinese have been “testing” lasers offensively against US military aircraft. The implication: China has been working on offensive space control for over a decade. And, in that context, a Space Force doesn’t sound that dumb, does it? This entry was posted on August 22, 2018 at 6:59 am and is filed under China, China - 100-Year Maraton, Space - satellites. You can follow any responses to this entry through the RSS 2.0 feed. You can leave a response, or trackback from your own site. Your books are right. Control of space to our military advantage is certainly not a dumb idea. No one is arguing that. However, I don’t think duplicating the enormous bureaucracy associated with a 5th (or 6th as many see it) military branch is either technically beneficial or efficient. The current military services are managing space control assets now, to our great advantage. While a little more cooperation is always nice, keeping the development and deployment mechanisms that currently exist, that have already been arranged and paid for, is the best way to go. It ain’t broke.